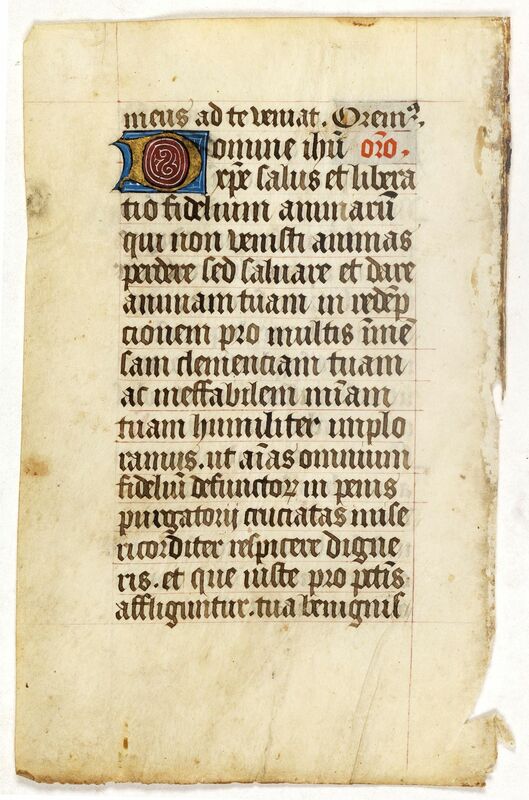 PSALTER - Manuscript leaf, written on vellum, from a Flemish Psalter. Title : Manuscript leaf, written on vellum, from a Flemish Psalter.. Size : 5.0 x 3.7 inches. / 12.6 x 9.4 cm. Description :RECTO: one 2-line initial A in burnished gold on red and blue ground. VERSO: one 2-line initial with penwork in red and blue. Very fine early Flemish manuscript leaf. Condition : 17 lines of text, written in dark brown ink, in a 13th. century gothic hand. Very good.